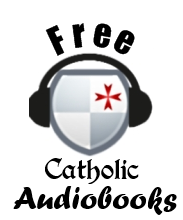 Some time ago, I created and posted a video entitled "Shortcomings of Catholic Eschatology", in which I lamented that I could not really find a decent book on Catholic eschatology. Many readers of this blog chimed in with their own sentiments, many echoing my own. Some authors stepped forward to present me with their own manuscripts, each hoping that their book would be the one to buck the trend. 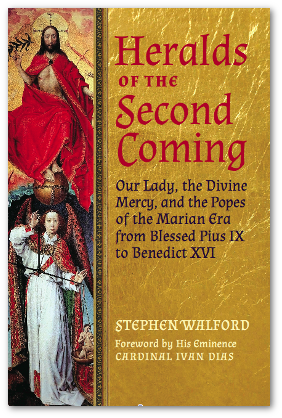 One of the books I was sent was Heralds of the Second Coming by Stephen Walford (Angelico Press, 2013). Heralds of the Second Coming is no fly-by-night amateurish attempt at eschatology; it has a forward by His Eminence Ivan Cardinal Dias and was personally presented to Pope Emeritus Benedict XVI last month, for which the author received a personalized note of thanks. Heralds of the Second Coming succeeds where so many other modern eschatology books fail. One reason for this is the author humbly and wisely chooses a very restrictive scope; rather than seeking to present the Church's whole teaching on the end times or exegete the Book of Revelation, he focuses in on a very specific aspect of eschatology: the eschatological statements of the popes from Pius IX to Benedict XVI, with a special emphasis on Fatima, the Divine Mercy and Mariology in general. The book is subtitled "Our Lady, the Divine Mercy, and the Popes of the Marian Era from Blessed Pius IX to Benedict XVI", and this really sums up the book's true worth as a compendium of papal statements on the intersection of Mariology and eschatology, encompassing every sort of pronouncement from solemn declarations and encyclicals down to addresses, letters and even anecdotal stories. This treasure-trove of quotes is made more valuable by Mr. Walford's excellent writing style, which gives the book a nice flow. The picture that emerges from these immense collection of statements is one of striking continuity. In weaving these teachings together, Mr. Walford demonstrates that the modern popes have had a very keen eschatological expectation. 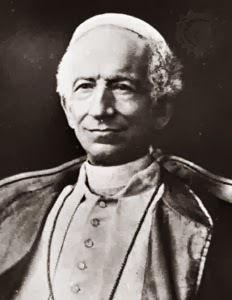 Every pope from Pius IX to Benedict XVI seemed to have had a lively sense that the Church was drawing near to the final consummation of all things, and each pontiff considered part of his specific vocation to be the preparation of the Church for this final conflict. 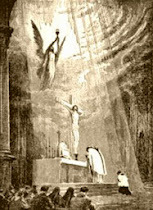 Fatima plays a very large role in this expectation, as does the Divine Mercy devotion and the Second Vatican Council, which, rightly or wrongly, the post-Conciliar popes have viewed as a kind of purifying ecclesial event to prepare the Church for the coming of our Lord. The popes of course never state how imminent they view this return, other than that is is approaching at that we are closer now than ever before. But when talking about an event in the future, these statements are always true. Saints in the 13th century spoke of the end being at hand as well. Mr. Walford is generally extremely conservative with how he presents the popes' teaching and what conclusions he draws from them, but a few times I found myself second guessing his interpretations. 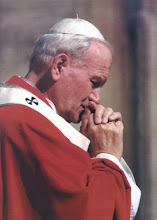 For example, in a chapter on the eschatological statements of John Paul II, he quotes the Holy Father as saying to a group of bishops, "The more faithfully and devotedly the religious in your Dioceses live out their commitment to Christ in poverty, chastity and obedience, the more clearly will the men and women of Ghana see that "the kingdom of God is at hand." Given this quote, Walford says that John Paul II "prophesied the imminent coming of the kingdom" (pg. 157-158). I found it a little hard to swallow that JPII prophesied the "imminent coming of the kingdom" just because he cited a passage from the Gospel of Mark that has no doubt been cited thousands of times by hundreds of pontiffs. But these sorts of stretches are few and far between; by and large Mr. Walford's interpretations are cautious, and his quotes are all meticulously documented. His treatment of Fatima is interesting. While noting that the Fatima consecration has not yet been properly made, he does not get bogged down on this point. Many Fatimists will lock onto the Consecration of Russia as if it is the single most important aspect of salvation history. Mr. Walford is under no illusions about the consecration not having been properly performed, but neither does he waste a lot of pages beating a dead horse. His focus is more on the popes and their statements on the Fatima message rather than the act of consecration. He does take pains to remind us that Cardinal Ratzinger stated the Church was still awaiting the fulfillment of the Fatima message, contra what Cardinal Bertone laughably told us back in 2000. One very valuable nugget I lifted from Heralds of the Second Coming is that the eschatological statements made by the modern popes leave no room for any posited "Era of Peace", which some Marian movements have proposed, led by Fr. Ianuzzi. 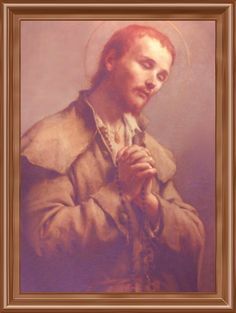 In contradiction to those who see a lengthy era of worldly peace and a gradual triumph of the Gospel following the downfall of Antichrist, the eschatological timeline that emerges from papal teaching is clear: a gradual degeneration until the coming of Antichrist concurrently with a massive apostasy and persecution, then the defeat of the Antichrist and the Second Coming and end of the world immediately following the downfall of Antichrist. I was not certain of Fr. Ianuzzi's "Era of Peace" concept even prior to reading this book, but now that I have read it, the "Era of Peace" seems even more untenable. Thus, Walford's book serves as a valuable resource against resurgent forms of semi-Millennialism. After I recorded my video last year, I threw out probably half of my collection of Catholic eschatology books. I am glad I did, because now I have room to permanently add Stephen Walford's Heralds of the Second Coming to my collection. It was excellently written, very responsible in its use of citations and interpretations, and responsibly narrow in scope. It provides a fascinating insight into a very important aspect of modern eschatology and I recommend it highly. You can purchase Stephen Walford's Heralds of the Second Coming here. On the End of Times, for my money, Fr. Castellani's book is still the best I've ever read. So I translated it into English and made it available for free. "One very valuable nugget I lifted from Heralds of the Second Coming is that the eschatological statements made by the modern popes leave no room for any posited "Era of Peace", which some Marian movements have proposed, led by Fr. Ianuzzi." There seems a heap of non approved private revelation that seem to support this extended era of peace. From memory Medjugorje seems to promote this, so it seems the devil is trying to promote Millenialism. Concurred - Walford's Heralds is very well written. For a more speculative but fascinating work tying Catholic private revelation (mostly approved - he has a couple of reference to Fr Gobbi) to Magisterial teaching see Emmett O'Regan's Unveiling the Apocalypse. O'Regan did a great job and much work in tracing those prophecies that are genuine opposed to spurious as many probably are in Yves Dupont's Catholic Prophecy book. O'Regan ties the Angel with the Flaming Sword with the same named angel in Genesis that protects the Tree of Life. Given what is going on with society using ivf, embryonic stem cell research, abortion/experimenting on aborted babies, investigating womb transplantation in men, etc the Angel with the Flaming Sword indeed will have to respond to protect the Tree of Life. The apparition of Akita (an extension of Fatima) seems to allude what will happen once the flaming sword is wielded. Also I finally think I understood the mass Zeitoun Egypt apparition in the late 60's where Our Lady of Light was holding the infant Jesus. O'Regan sees in it an uncanny recapitulation of when the Holy Family fled to Egypt due to the original slaughter of innocents at a time when abortion was about to be legalised in major western nations in a sense heralding a new slaughter of innocents. The apparition has Church approval and legend has it the Holy Family passed through Zeitoun during the original slaughter. Linking the mark of the beast to smart phones. As whacky as it sounds O'Regan makes a very strong case which will open eyes. I am not sure which book but there was a review cited in the following link where Emmett O'Regan also attacks Millenialism. Fr Ianuzzi and others took only select sentences and left out others from the same paragraphs from writings of St Augustine and Pius XI. Scroll to the end of the comments and user anon11 highlights particularly how the context was distorted. It should also be noted that Fr Ianuzzi received his calling to priesthood at Medjugorje so we can see where the influence has come from and how Church teaching is made to conform to it - to paraphrase E Michael Jones we see how the spiritual fungus of Medjugorje has grown through the Church amongst other things sowing seeds of religious indifferentism, charismatic Catholicism, and now Millenialism; all whilst diverting attention away from the problems of the modern liturgy. If I understand the "Era of Peace" correctly it seems silly and incredibly superfluous. The Apocalypse and Christ's return and all that take place, and then, what? Millenniums of earthly peace and bliss? Boring! Bring on Heaven already! What would even be the point? Ridiculous! The blogpost from Unveiling the Apocalypse on the Mark of the Beast hardly makes a "strong case" for smartphones somehow being the Mark of the Beast, but it does make a strong case for merely the possibility of smartphones somehow being the Mark of the Beast. I think you just perfectly illustrated stepping over the line regarding Catholic eschatology and falling into absurd and assumptive swamplands. There's a huge difference between "maybe" and "probably", one of which is harmful. John, we are likely heading toward a cashless system that would easily be hijacked by the Antichrist whose coming seems shorter and shorter, given papal pronouncements over the past 150 years, approved visionaries and the signs of our times. It isn't on Emmett's blog but in his book several texts are quoted where traditionally Catholic theologians viewed the mark of the beast as being a diabolical parody of the "mark" of the Old Testament - that is phylacteries a box containing prayer cards worn on the hand and forehead in the 1st century AD (so during St John's time whom authored Rev) during Jewish prayer services to observe the Shema of Deut 6:4 which "marked" the Jews. In Rev we are told the mark of the beast is 666 and translated via gematria (a process where Hebrew numbers have a letter equivalent) as www. So a box in the hand with www which will be needed to engage in economic transactions. Revelation 13 also warns "that no one can buy or sell unless he has the mark". "It is the stark reality that smartphones are set to replace credit cards as a means of electronic commerce through NFC technology in a coming cashless society. Indeed a recent study commissioned by PayPal, has predicted that payments through mobile phones could replace cash transactions on the high street by as early as 2016". Then there are the potential health impacts of mobile phones confirmed particularly by studies independent from the mobile phone industry which would coincide to Rev 16:1-2. I agree that many stretch prophecies and bend them to try prove a point but I don't think this is one of them as too much seems to marry up. 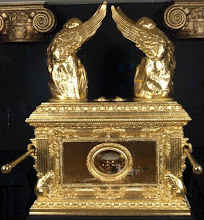 My understanding of Catholic Prophesy, fed by many books, websites, blogs, spiritual reading, and quotes of Saints was a bit different than we read here in the comments. My understanding is that there is a Minor Chastisement. This is a mere dress rehearsal for the coming of the Anti-Christ. It includes all of the signs of the end-times: Wars, revolutions, apostasies, natural disasters, etc. It concludes with the elevation of a Great Monarch (political leader)and Angelic Pastor (pope) who establish the Catholic Church to Her rightful place in society. The GM on the political sphere, and the AP (by means of a Great Council) in the religious sphere. This exaltation is so complete that the protestants and muslims (as well as almost all pagans - I think) convert. Even the Jews, though not all (yet) convert to the Catholic Church. Thus comes the "Age of Mary." This age is blessed with peace and prosperity, but it is brief, perhaps only a generation or so. 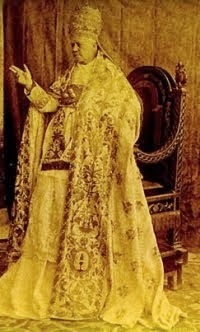 Then, follows another apostasy and the rise of the anti-Christ, possibly even w/in the life time of the Great Monarch. I also understand these prophesies to be conditional, such as the ones under St. Vincent Ferrer. That is, we may be in the End Times. But I expect that the Triumph of The Immaculate Heart must be a VERY SIGNIFICANT EVENT, yet would not be such as would eclipse the final coming and judgement of Our Lord, Jesus Christ. In sum, I think that we are beginning the Minor Chastisement, and, I would expect that the End Times will actually arrive in the second half of this century. But that is not prophecy, but mere idle speculation. The End Times that we must prepare for is crossing the street, eating potato salad, being at the gas station at the wrong time, or an inopportune decision to run the 5k. Nothing that has happened or will happen is as important as recieving the grace of a Holy Death. May God have mercy on us all. In response to the above assertions the "era of Peace", mixed with the remarks against Medjugorje, whose first apparitions the Vatican has already acknowledged in part, note this, a) the Era of Peace before the final return of Christ and following a fiery chastisement - in which all of you bloggers will be caught smack in the middle - is prophesied by Our Lady of Fatima, it is in the writings of Fr. 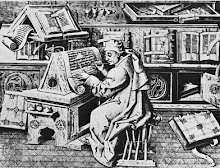 Stefano Gobbi (bearing the Imprimatur and Nihil Obstat), by Fr. Martino Penasa, a biblical exegete, by Joseph Cardinal Ratzinger (Pope Benedict XVI), Fr. 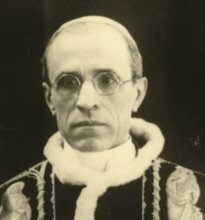 Iannuzzi in his approved doctoral dissertation that was approved with high honors at the Pontifical University of Rome, and by many more credible sources. With regard to Fr. Iannuzzi, he enjoys a plethora of accolades from over 50 bishops and cardinals who have endorsed his dissertation and other works. A word of caution to you who lack theological prowess: If you continue to reject walking side by side with the Magisterium, but lag behind her like blind drunkards who foolishly invest your faith in such low-minded thinkers as Emmet O'Regan and Steve Walford (are you freggin' kiddin' me? These individuals haven't any respectable theological credentials and would laughed out of any pontifically accredited Catholic university in a heart beat), you shall reap what you sow. Do not keep you minds buried in the sand and desist from following what St. Paul refers to as a doctrine of demons. For the sake of your immortal souls, do your homework and you would do us all a favor. Listen before you speak. You just might learn something. Biblical Contradictions and more on USC!